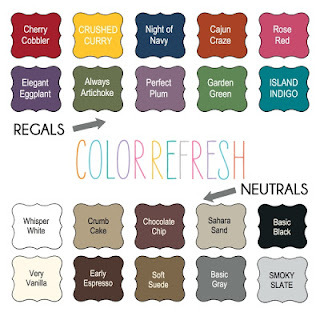 Susan's Saga: More About Colour Refresh - Spoiler Alert! Announcing our Colour Refresh! We love colour and we know that you do too. Colour is fundamental to who we are and what we offer. 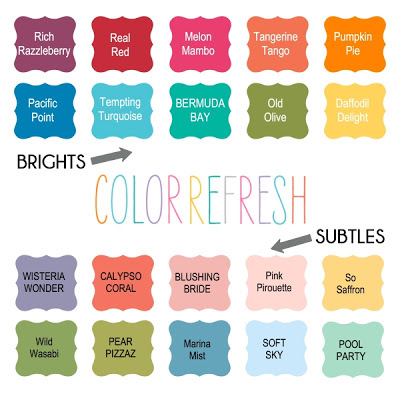 It's important for us to stay up-to-date with colour trends so we are thrilled to share our updated line of colours, and hope you will be as excited as we are by the new possibilities! Why now? In 2010 we did a big colour renovation and shared our plans for smaller colour refreshes every three to five years to keep our colours on trend. Well it has been three years and we are excited to announce that the upcoming 2013-2014 annual catalogue will include 10 new colours (most of which are returning In Colors from previous years)! 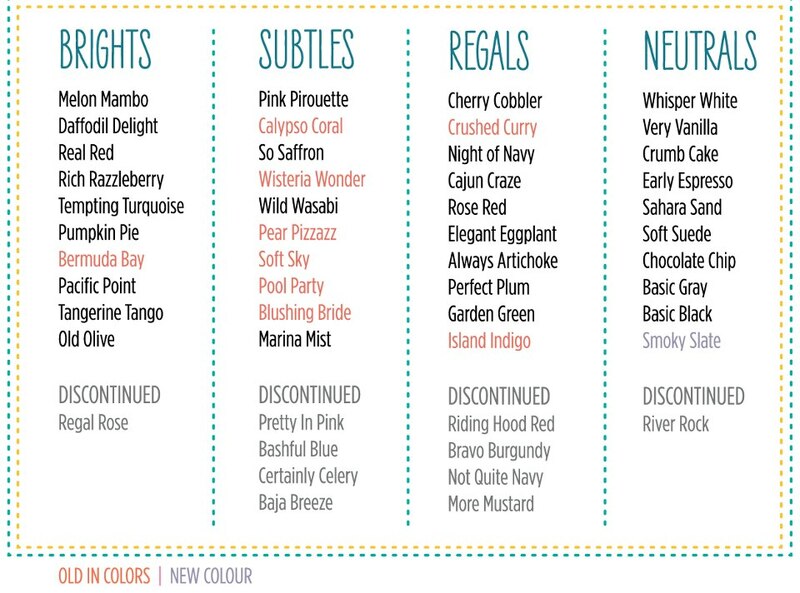 We are welcoming back some of your favourites, moving some colours around, and introducing three brand-new colours, so take a look! 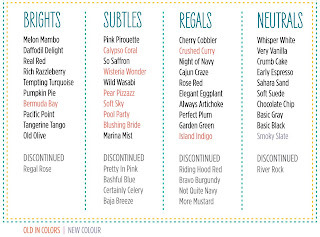 Beginning on 4 April 2013, all retiring/discontinued colour products (i.e. ink, paper, ribbon, accessories, etc.) will be available only while supplies last so get your favourites before they run out!Just go to SusanSalutations and place your order today.